Start your search for an RV excess insurance policy at MoneyMaxim, deals starting from £8.13 a day! Not yet booked your RV? Check our RV hire prices now! 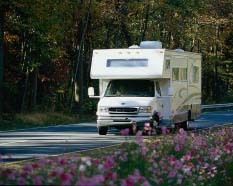 Compare RV hire insurance policies. Make your your RV trip doesn't become a nightmare by reducing your RV Hire insurance excess to an affordable £350 or even to nil. Policies cover damage to your RV's wheels, tyres, underbody and roof. Most policies also cover damage to the vehicles windscreen, mirrors and glass. Policies can cover named drivers, lost keys and much more besides. RV cover is an upgrade option available from the standard European Car Hire Insurance policy (Standard price £47.99, RV upgrade cost £29.99). The upgrade option is offered after you've filled in the "About You" page on their site. Motorhome cover is an upgrade option available from the standard Worldwide Car Hire Insurance policy (Standard price £69.99, RV upgrade cost £29.99). The upgrade option is offered after you've filled in the "About You" page on their site. RV cover is an upgrade option available from the standard Worldwide Car Hire Insurance policy (Standard price £69.99, RV upgrade cost £29.99). The upgrade option is offered after you've filled in the "About You" page on their site. RV (Recreational Vehicles) is a term used widely in the US and Canada for what we in the UK would more usually term a motorhome. Unlike car rental in the US RV hire agreements almost always include insurance, normally consisting of Collision Damage Waiver (which covers the RV itself), and Liability Insurance, which covers your 3rd party liability. Given the size of the vehicle you will be renting and the fact most renters are less used to driving one we consider adequate insurance a must. RV hire policies frequently have a large excess (the portion of any claim you remain liable for) rarely less than £500, more often much higher. Before arranging your RV hire do check your agreement and its terms and conditions carefully. If you find you are unsure about any of the details, refer to your RV rental company. Do this before you sign on the dotted line as from that moment on you are bound by the company's terms and conditions. How much do RV excess waiver policies cost? - the average we tend to see is around £15 per day, but this varies considerably. Find out whether the cover offered reduces or removes the excess. Policies sold through MoneyMaxim reduce the excess to £350 some even to nil, whilst some hire firms only reduce it to £500. There are policies which remove it altogether, although we have found that many of these have other limitations which make the overall cover offered less valuable. Exclusions - RV excess policies available through MoneyMaxim cover lost keys, tyres, wheels, glass, underbody and the roof. You will find almost all RV rental firms policies exclude these items, and taking their excess waiver policy does not make any difference in the exclusions. Chipped windscreens are actually the most common reason for claims on excess waiver policies (Source: Questor Insurance) and a RV windscreen is a very pricey item to replace. Bearing in mind the costs of replacing a windscreen if it is chipped, a tyre if it's punctured or the cost of roof damage, this is highly valuable cover. Policies also cover lost keys. Inside your RV - Most policies including those from Questor and Worldwide exclude damage to the interior of the vehicle - so do take care when cooking in your RV! Parking or reversing accidents - Many policies (not those issued by MoneyMaxim) exclude reversing accidents or parking incidents, especially if you are not using a banksman. This is an exclusion to be wary of as many of us are unused to manoeuvring vehicles the size of an RV. After an accident you can remain liable for reimbursing the RV Hire company if the RV is damaged and can't be hired out immediately you hand it back. If, for arguments sake, it takes a week to repair the RV you could be paying the rental charge they are losing from the next hirer. Unlike Car Rental insurance, independent Supplementary Liability Insurance policies for RVs are not, as far as we are aware, available in the UK. In many places this is not an issue as the rental firms standard liability cover will be adequate. We are however regularly approached for top up policies by those renting in the US (especially Alaska), where the minimum liability cover rental firms have to provide is determined by the state, and can be woefully inadequate.